Atlantic Foot & Ankle Associates is well-known in both Flagler and Volusia Counties as the most highly respected podiatry practice in the area. With a reputation for outstanding patient care and customer service, Atlantic Foot & Ankle has built a strong foundation within our practice and and has grown to be the largest podiatry practice in Eastern/Central Florida. Our staff has been trained extensively to create a welcoming and friendly experience for our patients, and because of this, our patients are happy to refer to us their friends and loved ones. Our practice continues to grow because of our excellent rapport with referring offices and our reputation within the medical community. Atlantic Foot & Ankle Associates always offers the most advanced treatments available, including X-ray and Doppler in all offices, Extracorporeal Pulse Activation Treatment, PRP Injections, the latest neuropathy treatments including Neurogenx, and an FDA approved laser for the treatment of toenail fungus. By maintaining good communication and relationships with referring physicians we have become known as the experts in our field. Our goal is to continue to provide the highest quality care and offer the best technology and services possible for our patients. In our efforts to grow and improve, we have implemented an extensive practice management and marketing plan. We have a full-time marketer that meets with referring physicians and other referral sources on a weekly basis, attends health fairs and running events, and works within our community to maximize our exposure in our local area. In addition, we have a part-time marketer that continually updates and optimizes our web presence through various social media outlets. We have several commercials that air in the counties we serve, Flagler and Volusia, on major network television channels including HGTV, ESPN, Bravo, The Hallmark Channel, & HLN (Headline News). Everything we do on the Web and with all our marketing efforts, our goal is to find a compelling way to engage potential patients so that we can build our relationship over time. By educating and giving our patients the information they need to make an informed decision, we have built a level of trust that keeps them coming back to Atlantic Foot & Ankle Associates. 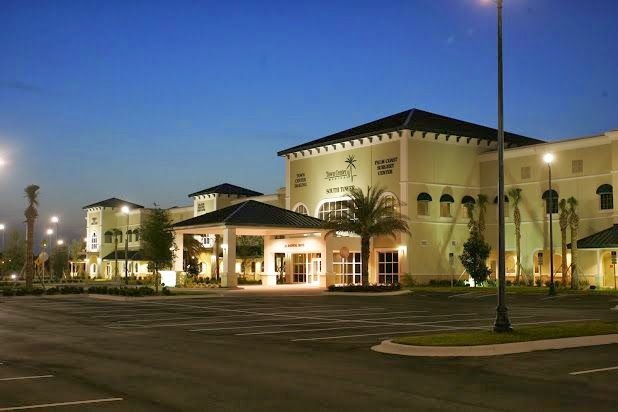 We are pleased to announce that we have recently relocated our Palm Coast office, growing from five to ten exam rooms. And directly next door to the office we have incorporated The Right Fit Shoe Store featuring Vionic, SAS Shoes, Brooks Athletic Shoes, and Spenco. Our shoe store offers a high quality shoe to our patients and the community in a convenient location. Dr. James Rust started private practice in 1988; in 1991 he joined Atlantic Foot & Ankle Associates. He received his doctorial degree from Scholl College of Podiatric Medicine. He did an extensive residency in Foot and Ankle surgery in Orlando, Florida. Dr. Rust is Board Certified with the American Board of Podiatric Surgery; he is on the Faculty at Florida State University College of Medicine, a member of the American Podiatric Medical Association, Florida Podiatric Medical Association and American College of Foot Surgeons. He enjoys treating all aspects of podiatric care, including sports medicine and diabetic foot care, both in office and hospital based. Dr. Andrew Green is a Board Certified foot and ankle surgeon who has been practicing with Atlantic Foot & Ankle Associates since 2002. He is a graduate of the University of Florida and received his doctorate of podiatric medicine from Barry University School of Podiatric Medicine and Surgery in Miami Shores, Florida. He completed an extensive three year surgical residency at Plantation General Hospital in Fort Lauderdale, Florida, with emphasis on reconstructive foot and ankle surgery, sports medicine, and diabetic foot care. Dr. Dennis McBroom is a foot and ankle surgeon who enjoys treating all ailments of the lower extremity. He received his doctorate of podiatric medicine from the California School of Podiatric Medicine located in the San Francisco/Oakland Bay Area in 2005. He completed his residency training at Palmetto General Hospital in Miami in 2008. Dr. McBroom is a three year surgically trained podiatrist with an emphasis on foot and ankle trauma and reconstruction. Dr. Sona Ramdath Jr. joined Atlantic Foot & Ankle Associates in August, 2011. He received his doctorate of podiatric medicine at Barry University School of Medical Sciences in Miami Shores, Florida and completed his residency at the Department of Veterans Affairs Podiatric Medicine and Surgery in Miami, Florida. He then completed a Fellowship in Sports Medicine at Palo Alto Medical Foundation in California with a mini Fellowship in Germany and England. He has an interest in Sports Medicine along with Reconstructive Foot and Ankle Surgery. Dr. Laura Walton is originally from Jacksonville, Florida and received her Bachelors degree in Science from the University of South Florida in Tampa. After undergraduate school Dr.Walton relocated to Philadelphia and received her doctorate in podiatric medicine from Temple University. She completed a three year comprehensive surgical residency in Philadelphia as well. Her training has afforded her an expertise in all areas of foot and ankle surgery. While fracture and trauma care were a large focus of her training, Dr.Walton is proficient in all aspects of podiatric medicine and surgery. She currently resides in South Daytona Beach. When not working she enjoys spending time with family, kayaking, and running. Hilaree B. Milliron is a Podiatric surgeon who enjoys treating all ailments of the foot and ankle. She received her Bachelor’s degree in Chemistry/Biochemistry at the University of West Florida in Pensacola, FL in 2002, followed by a doctorate of Podiatric Medicine from Kent State University College of Podiatric Medicine in Cleveland, OH in 2008. Hilaree then completed a three-year residency in Podiatric Medicine and Surgery at the University of Florida & Shands Jacksonville Medical Center in Jacksonville, FL in 2011. Outside the office, Hilaree and her husband, Mike, enjoy spending time with their three dachshunds, running, playing golf, target shooting, surfing, playing basketball, and mountain biking. Hilaree also creates handmade beaded jewelry, paints, and plays the drums in her spare time.